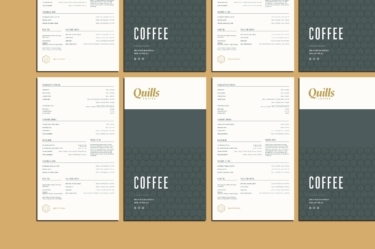 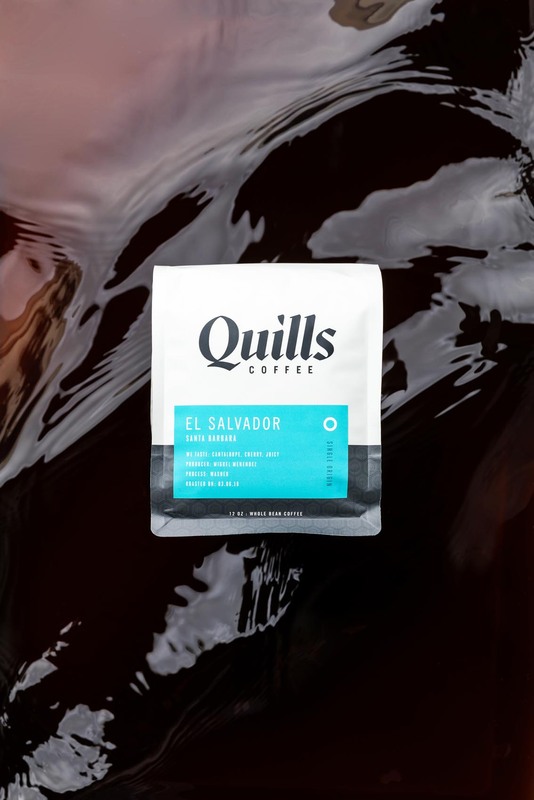 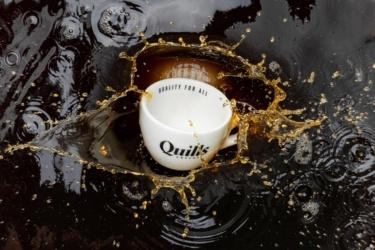 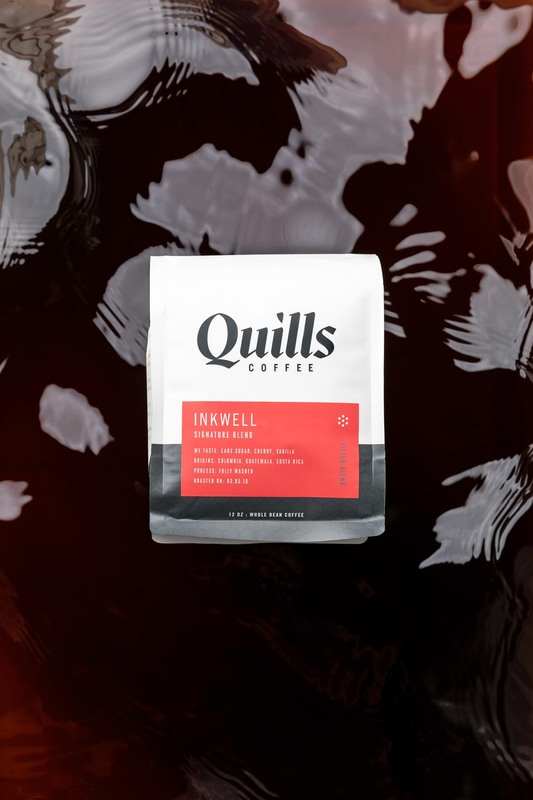 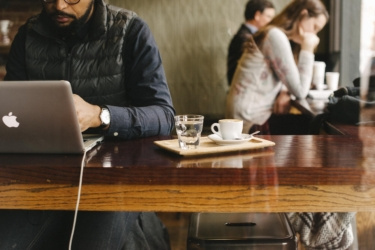 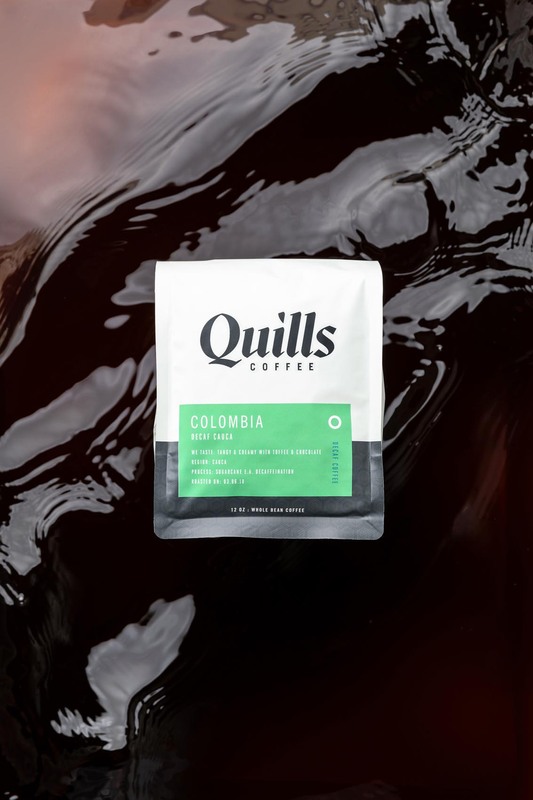 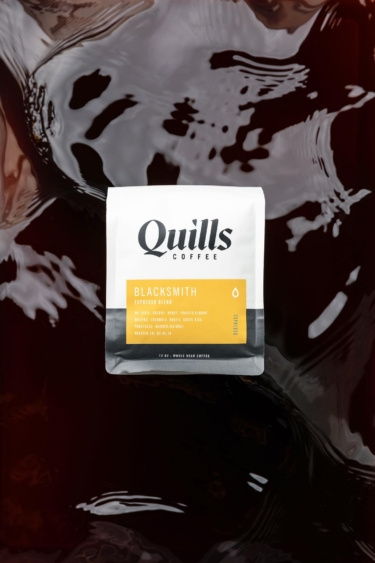 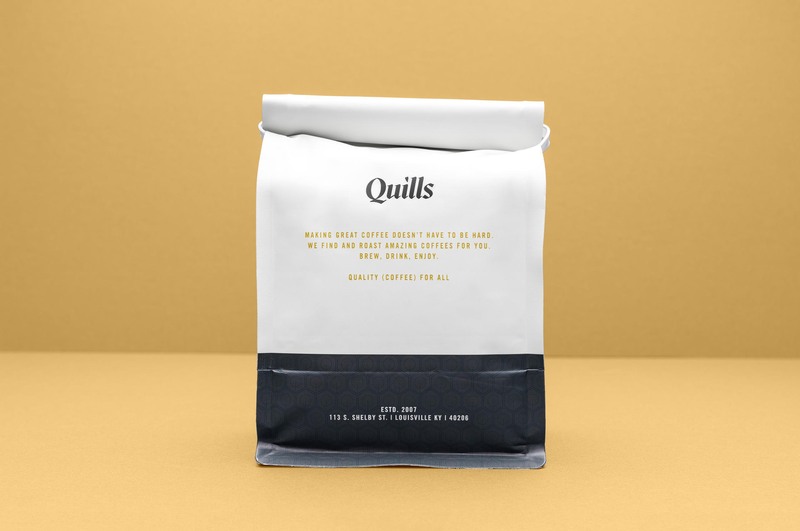 Quills started with one goal in mind: bring quality coffee to everyone, creating a community along the way. 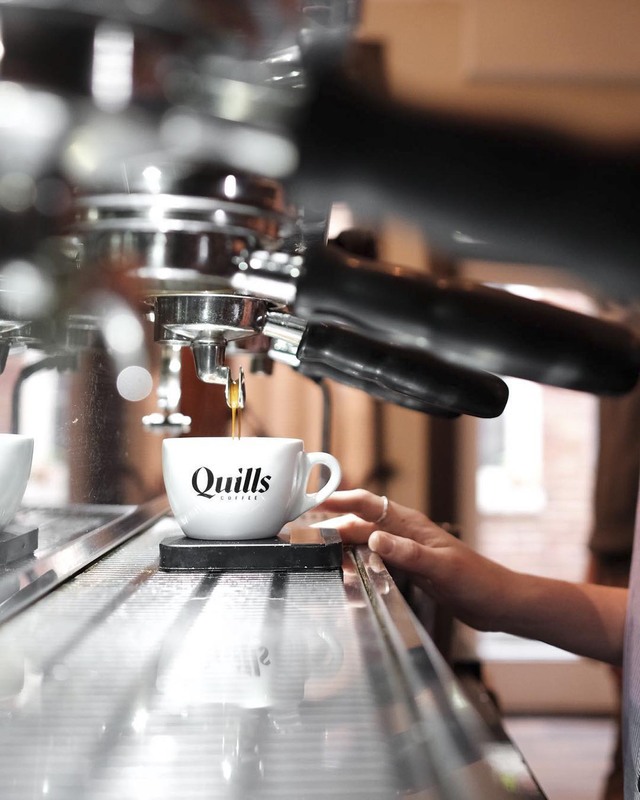 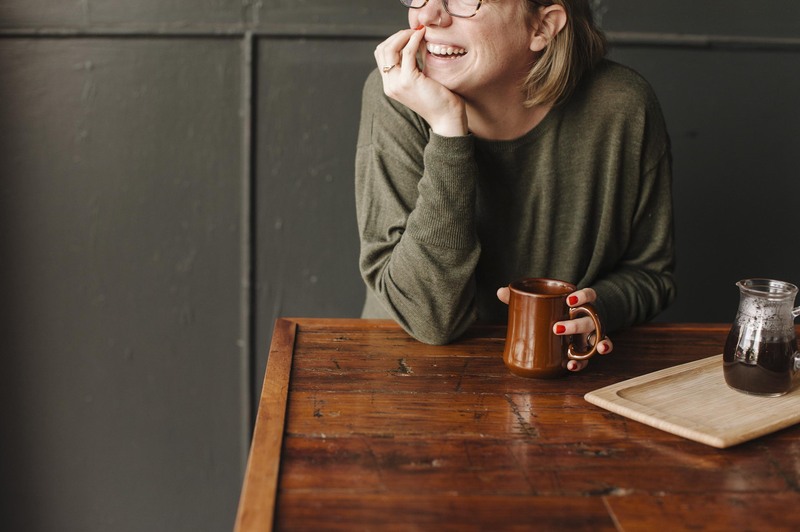 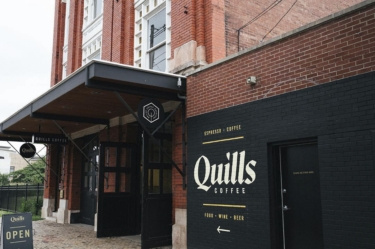 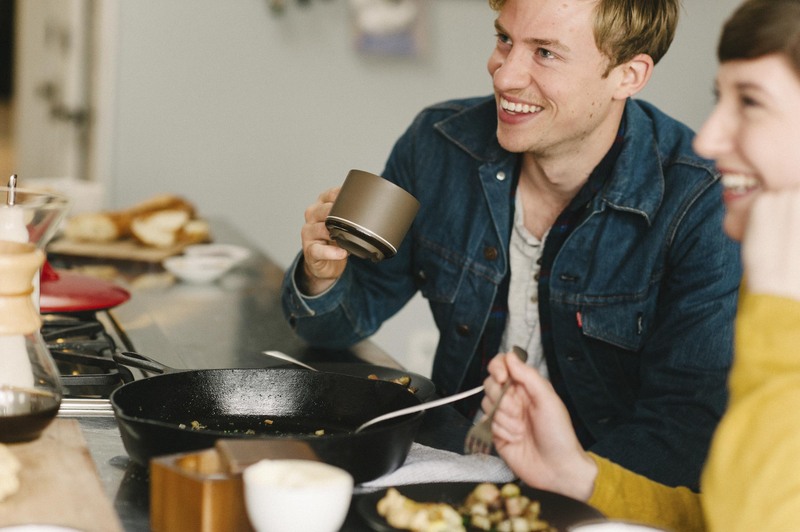 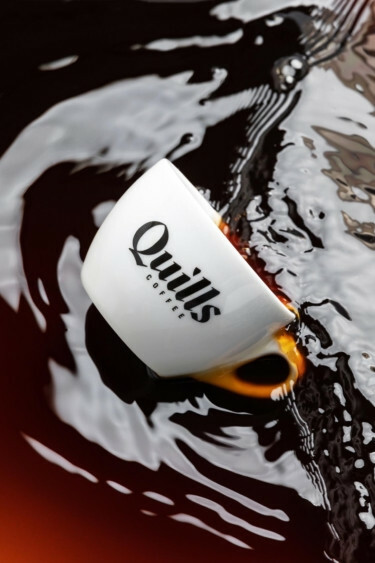 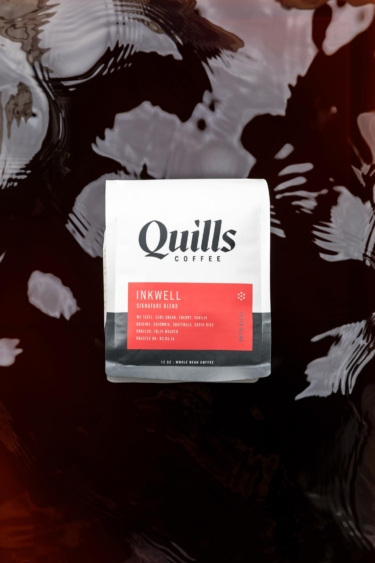 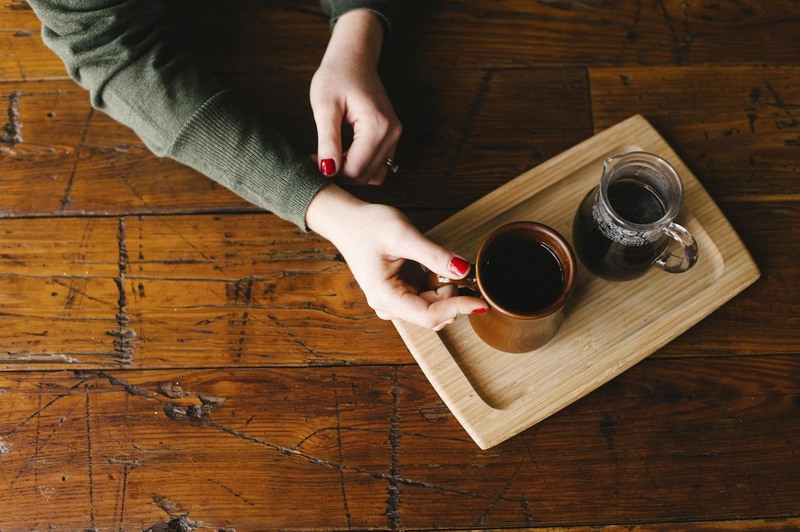 Nathan Quillo started Quills with the original idea to create a space where the community of coffee lovers in Louisville could fuel their passion and find community. This dedication to coffee and people quickly turned into five locations throughout the Louisville area and one in Indianapolis since 2007. 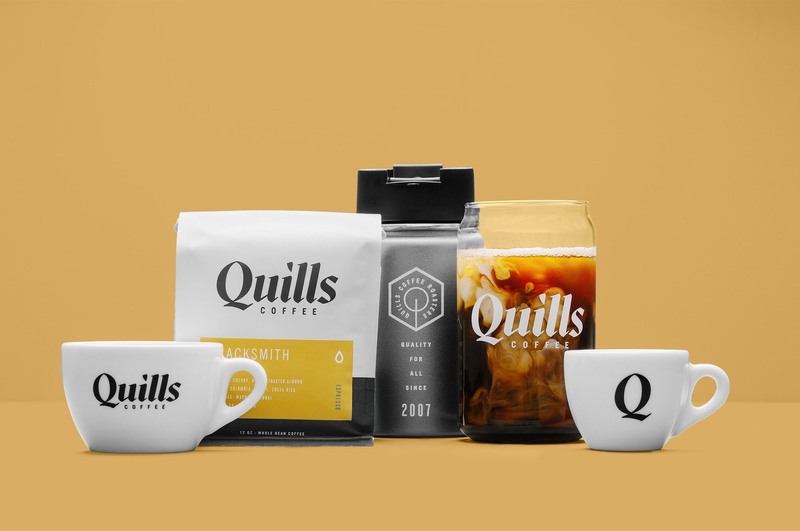 With this rapid growth came growing pains, logos started to shift, bags stopped looking unified, and the brand became diluted. 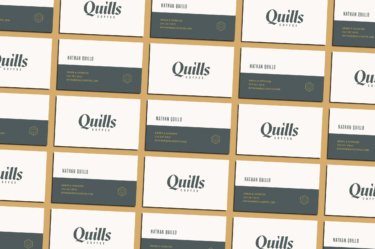 Nathan reached out to Mast to help streamline the look and feel of Quills throughout all reaches of the brand. 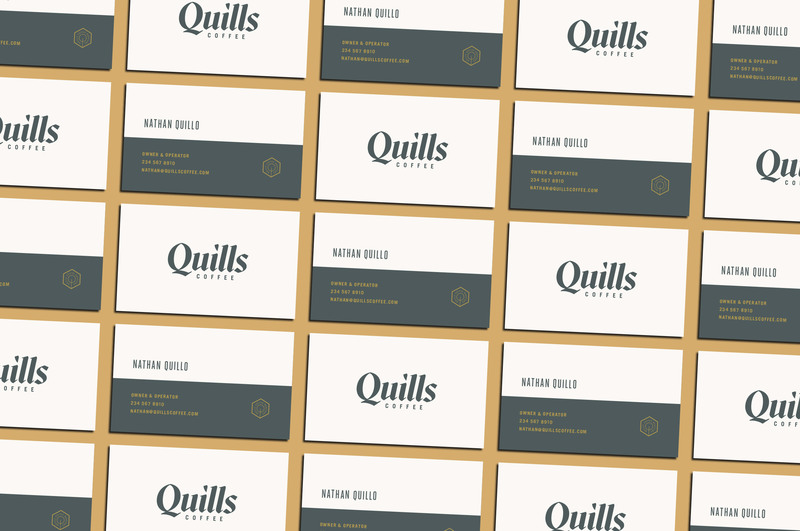 From the cornerstone of the brand, the bags, to the printed collateral, and interior signage. Throughout the process we kept the core message of “quality for all” at the heart of the design, creating something that appealed to everyone. 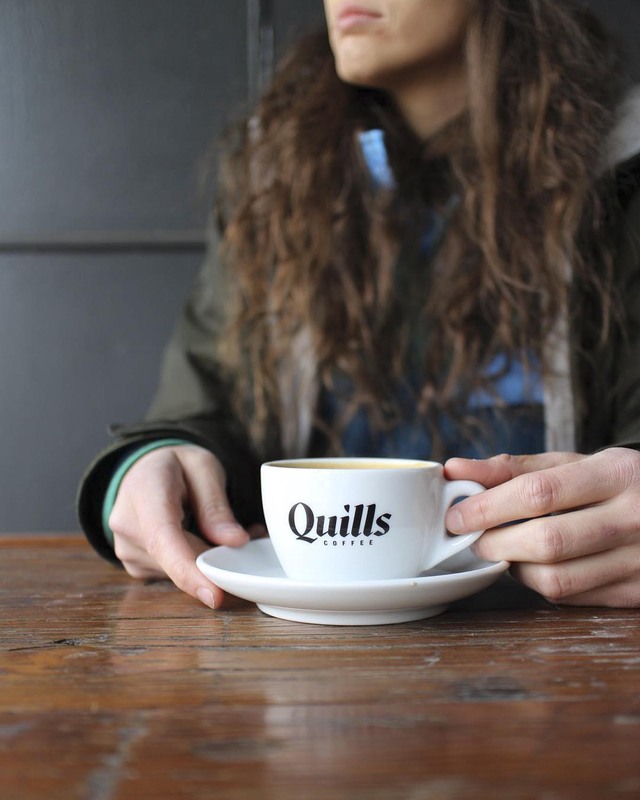 Interior photos courtesy of Quills. 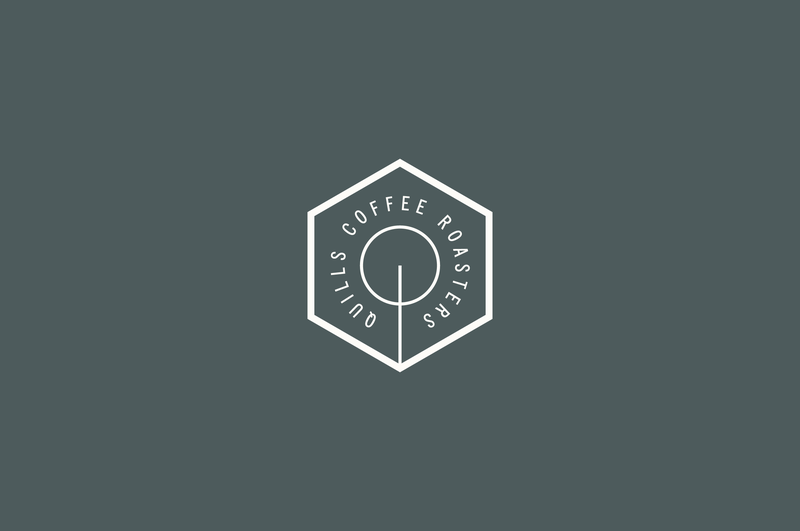 The brand refresh process started with an update to the wordmark. It was important to the narrative to keep an underlying script appearance as to not alienate the existing brand equity. To elevate the presence of Quills we developed a new legible mark, using stylized structure and accentuated serifs to maintain fluidity of the name. 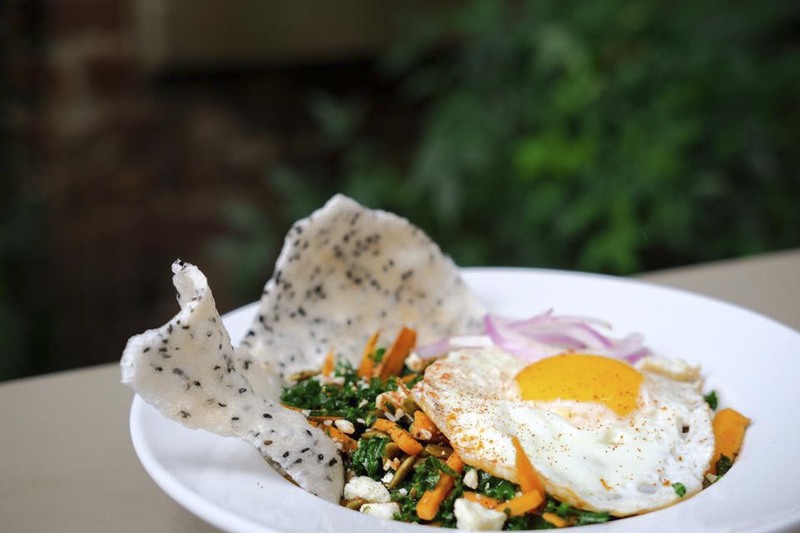 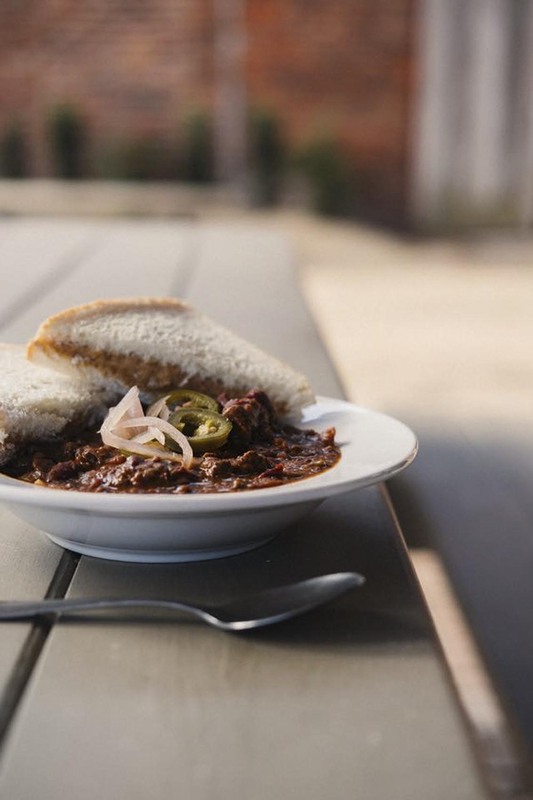 Quills has expanded their quality and careful consideration into full-service food offerings at some locations. 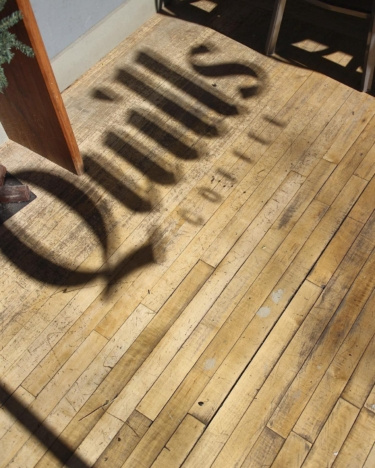 Developing exciting, season-inspired menus throughout the year. 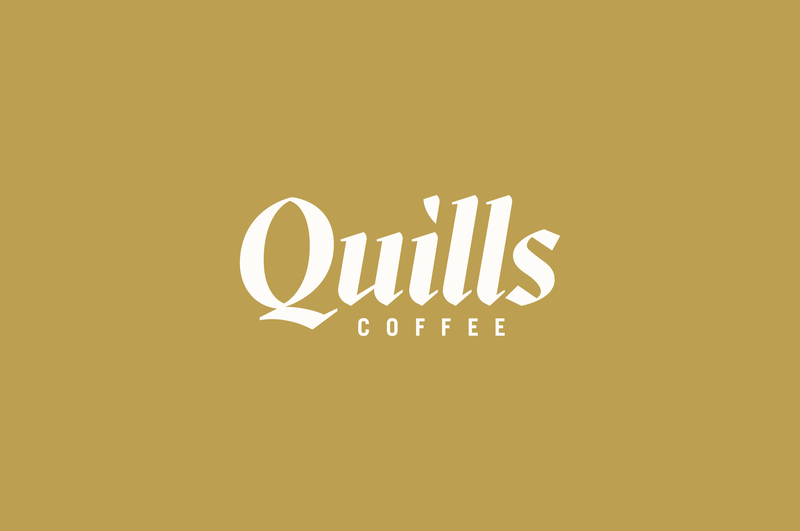 The original wordmark struggled with legibility — thick stroke weights, the addition of drop shadows, and an imbalance in composition. 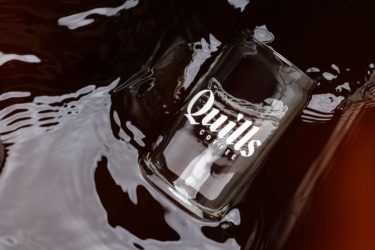 It struggled to communicate the ethos of the brand. 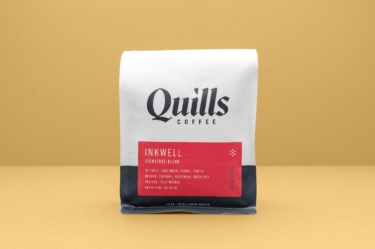 The update kept the visual cadence of the original but did away with frivolous design decisions giving Quills the ability to command it’s market and portray it’s legitimacy. 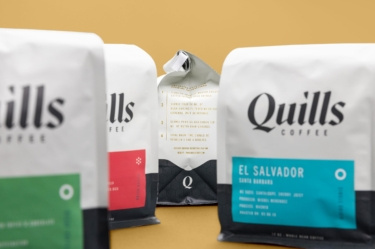 When it came to packaging, the message of “quality for all” rang true yet again. 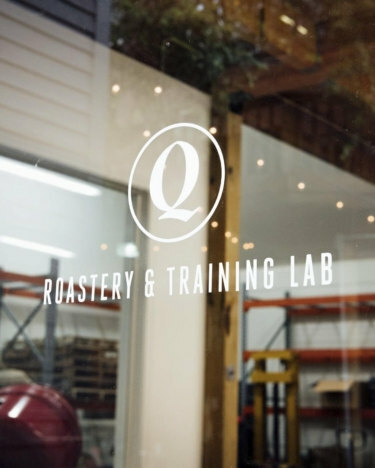 It was very important to create a system that would be easy for everyone to understand regardless of their level of coffee knowledge. To achieve this, we created a two-step label system. 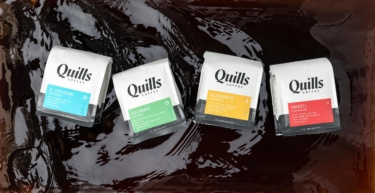 The first level of information being the color, creating a color system for the labels based on the region of the coffee. 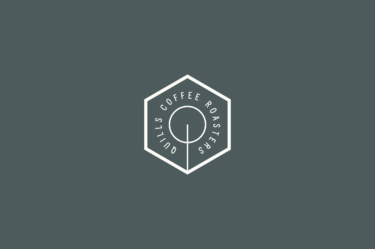 The second being the symbolism, for single origin, filter, and espresso. Creating clarity within the system, regardless of coffee knowledge.